As system architects, we support clients implementing large scale smart card and PKI systems. The PKI-as-a-Service Portal is now online. Register your account to obtain your free X.509 certificate for the CardContact Developer Network or to upgrade your SmartCard-HSM firmware to the latest version. The dedicated crypto middleware for the SmartCard-HSM (sc-hsm-embedded) now supports writing operations in the PKCS#11 module and a read/only CSP Minidriver for Windows. Version 3.12 of the Smart Card Shell has been released, integrating the Key Manager as primary tool to manage your SmartCard-HSM. The GIT repositories at the CardContact Developer Network are now accessible using your SmartCard-HSM and CDN credentials. The SmartCard-HSM can now be used with GnuPG and the gpgsm program. 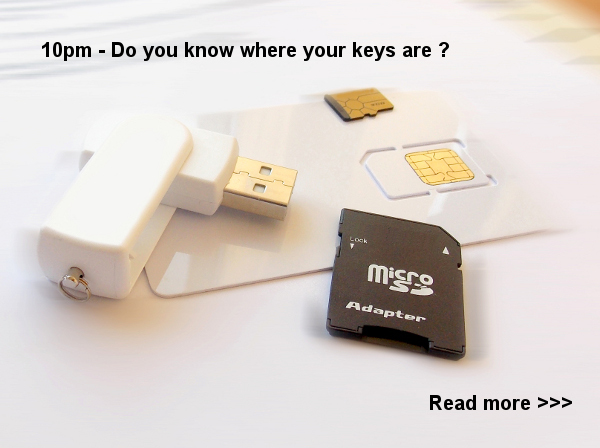 This allows the use of your keys on a SmartCard-HSM in a number popular e-mail clients to sign or decrypt e-mails. The gpgsm program is also an excellent choice to sign or encrypt files using the CMS standard. See the master branch in the GnuPG repository for details. The Smart Card Shell Script Collection is now hosted at GitHub to allow instant access to changes and up-to-date scripts. The coolPACS project has been launched to provide an open sourced convergence solution for logical and physical access control systems. CardContact releases new PKCS#11 middleware supporting SmartCard-HSMs and STARCOS based electronic signature cards. The new MRTD-Online Demo shows how to integrate ePassports in your web application for identification and authentication. The SmartCard-HSM PKI-as-a-Service Portal is available as initial technology demo on the OpenSCDP Demo server. The SmartCard-HSM is now available as MicroSD card for Android. See our authorized reseller cardomatic for a complete list of form factors available. The CardContact Developer Network is now online. Please use your SmartCard-HSM to register. The SmartCard-HSM is now supported by OpenSC, providing an open source cryptographic middleware for Windows und Linux with PKCS#11 and CSP minidriver. The life demo of the EAC-PKI Test Framework is online. It demonstrates a typical EAC-PKI with CVCA, DVCA, TCC and SPOC. CardContact presents the new SmartCard-HSM at Cartes 2011 in Paris. The updated script collection now supports EAC 2.0 for the new German eID card. First beta version of the new Scripting Server released. New projects and software releases have been added to the OpenSCDP website. Version 3.5 of the Smart Card Shell has been released. Version 1.2.0 of the ORGA ECO 5000 driver has been released. Version 3.4 of the Smart Card Shell has been released. This release marks an important milestone with the implementation of secure messaging support for cards and applications conforming to ISO 7816-4 and the eSign-K specifications (CWA 14890-1). This release also adds full support for Elliptic Curve Cryptography over GF(p) to accomodate new security functions like CVC-based authentication procedures or Extended Access Control. Further details can be found at the OpenSCDP homepage. Version 3.3 of the Smart Card Shell has been released. Further details can be found at the OpenSCDP homepage. We are proud to release the 3.1 version of the Smart Card Shell. We've released an updated version of jni2ctapi. CardContact supports European national printer in the development of a biometric passport solution. CardContact develops software for Netc@rd Interoperability demonstration at the 2004 Olympics in Athens. CardContact awarded contract to consult Austrian Hauptverband der Österreichischen Sozialversicherungsträger (SVC) in the e-card project. A bug in the Linux version of the ECO5000 has been fixed. Please consult the download section for further details. A new version of the ECO5000 driver has been released. Please consult the download section for further details. We've released a first beta release of our GSMEditor. It is capable of editing, importing and exporting GSM card phonebooks. It is written in Java and runs on every System with OpenCard Framework installed. Take a look at the download section for more details. We now provide new bug-fixed versions of almost all our software projects. Please consult the download section for further details.